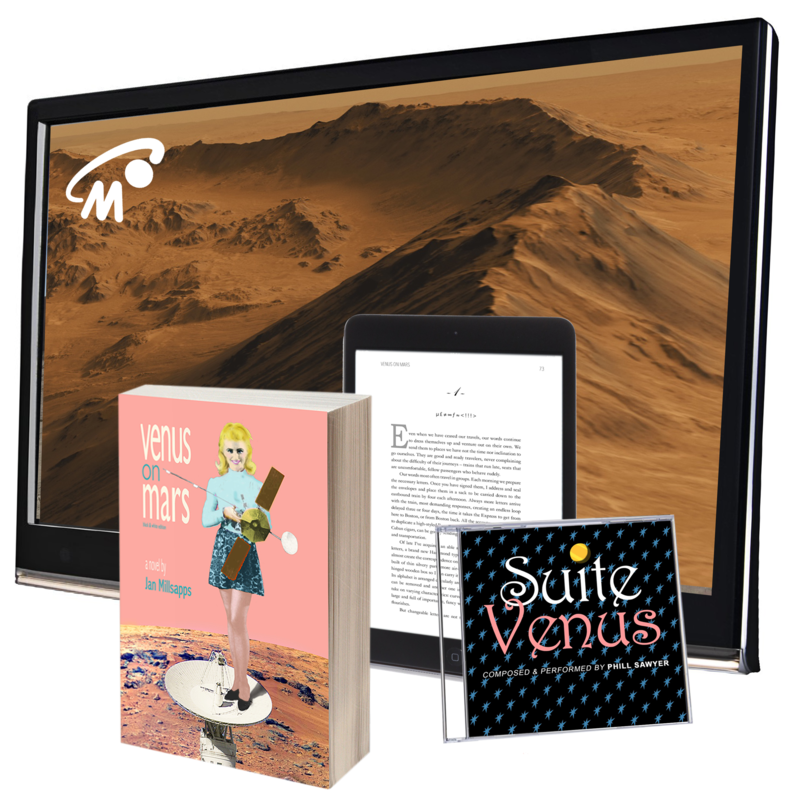 Venus on Mars represents a writing and publishing future in which stories are more than text, ideas expand beyond the printed page, and multimedia serves to augment and connect written concepts by use of images, sound and movement. Suite Venus, an original sound design with four tracks inspired by the story and characters created by musician and sound designer Phill Sawyer. Additional tracks feature Millsapps reading from the novel. Madame Mars: Women and the Quest for Worlds Beyond, a comprehensive feature documentary featuring stories of women integral to the exploration of and knowledge about the planet Mars. The Madame Mars project includes additional, transmedia materials oriented toward girls and young women. The "transmedia" movement seeks to spread one story or expression over multiple platforms and devices, so the reader doesn't get everything in one place; part of the fulfillment of reading this way is to self-assemble the parts into a meaningful arrangement.